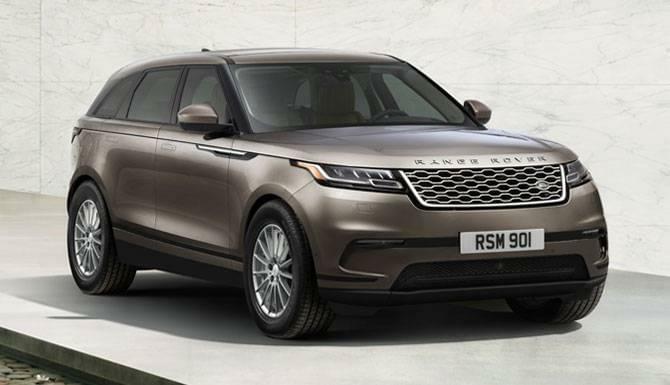 Land Rover Colorado Springs in Colorado Springs, Colorado is taking reservations for the brand-new Land Rover Range Rover Velar! This new luxury SUV will have plenty of great advanced technology features, a spacious interior, a powerful V6 engine, driveline dynamics, and versatility to boot! The aerodynamic exterior styling includes an integrated rear spoiler and flush door handles. The Land Rover InControl® Touch Pro™ Duo System has two 10″ high-definition touchscreens. It integrates with the optional Interactive Driver Display and optional head-up display. This system allows you to interact with multiple features at one time. The Range Rover Velar has elegant interior styling and luxurious interior materials. All you need to do to reserve your Velar SUV is to fill out the reservation form here and pay a $1,000 Reservation Deposit! Have questions about the 2018 Land Rover Range Rover Velar or the reservation process? Contact Land Rover Colorado Springs today!